During the visit of the representatives of the Armed Forces of the Kingdom of Denmark on 29th January 2014, two Protocols on Donation for the project' ''Support to electronic archiving of personal files of the members of the Ministry of Defence and the Serbian Armed Forces and former Yugoslav National Army'', and for the first part of the second phase (''Improving the performance of psychologists in MoD and SAF'') of the project ''IT support for psychologist - forming a test centre for pilot selection'' were signed. 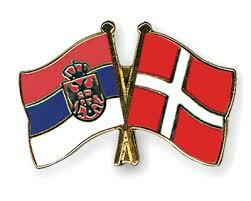 Protocol on donation for financing the project ''Support to electronic archiving of personal files of the members of the Ministry of Defence and the Serbian Armed Forces and former Yugoslav National Army'' has been signed between the Ministry of Defence of the Republic of Serbia and the Ministries of Defence of the Kingdom of Denmark, the Kingdom of Norway and the Kingdom of Sweden. The donated money is needed for implementation of the said project and amounts for 44.000 EURO. Protocol on Donation for financing the first part of the second phase (''Improving the performance psychologists in MoD and SAF'') of the project ''IT support for psychologists - forming a test centre for pilot selection'' was signed between the Ministry of Defence of the Republic of Serbia and the Ministry of Defence of the Kingdom of Denmark. The protocol relates to IT equipment for psychologists in organizational units of the General Staff and the Serbian Armed Forces. The value of the protocol is 30.000 EURO.